An iPad app about yoga poses? Oh yes! 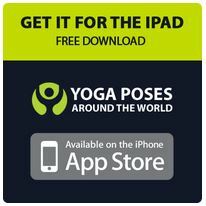 Leading on from the success of the Facebook app of the same name, the new iPad app YogaPoses Around the World is making waves and I can understand why. This sleek and highly interactive new app is uniting yogi’s from all corners of the world, which is reason enough for us to have a closer look at it. As a yoga practitioner and yoga teacher, I have always been curious to know how this beautiful art form is being practiced in various weird and wonderful corners of the world. This app has instantly made that possible for me in a fun and colorful way. There are already over 2.000 stunning images of people doing their bendy thing, from places as diverse as Croatia, Thailand, Brazil and New Zealand and set against a variety of backdrops such as the Grand Canyon, the Pacific Ocean, downtown Seattle and inside their own living rooms. What makes this app unique (and awesome) is that the images are real. They are not airbrushed or "photoshopped" to look more appealing. All photos are uploaded by people like you and me, so that we can share our yoga with friends, family and complete yogi strangers. The pictures are categorized into almost 50 different yoga poses that cover everything from Shavasana to Scorpion to Partner/Acro Yoga. You can become part of the fun by uploading your own images and like any good interactive app you can share any of the pics via Facebook, Twitter and Pinterest. You can also vote for your favourite image and the winner in each category appears as the feature image for that pose. This app has helped me feel more connected to a wider community of yogis. It has reminded me that yoga is unique for everyone that practices and it has inspired me to go and practice in some of the stunning locations in the photos! I love being able to share and witness the authentic beauty of other peoples yoga experiences so thank you Yoga Poses, love your work. 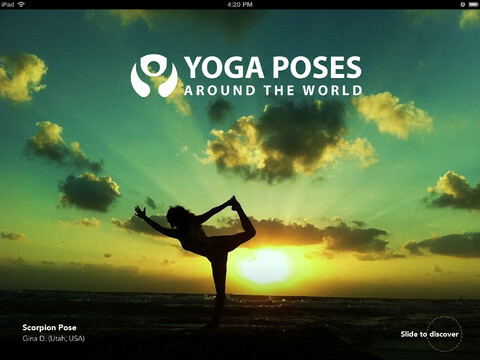 Yoga Poses is available FREE in the apple store, to download click here.